Shannon Spenceley is a registered nurse with over 35 years of experience in a variety of health care settings. She has consistently taken on roles where she was responsible for ensuring a solid evidence base for health care practice. She has spent her entire nursing career in Alberta. It was as a Director of Transitional Care Services in the former Chinook Health from 2007-2010 that she became very interested in the complexities in care faced by nursing staff in residential care settings. 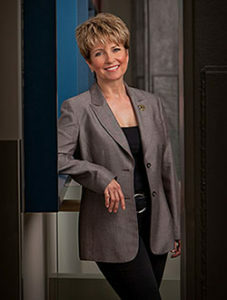 Dr. Spenceley joined the academic faculty at the University of Lethbridge in 2011, and immediately pursued the opportunity to study nursing care challenges in these settings, particularly as related to the care of persons living with dementia. On a personal note, she is a daughter of a parent living with dementia, a mother of three who loves cooking, decorating and traveling with her husband Bill.